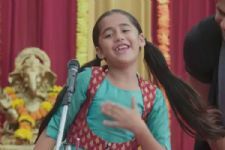 Kullfi Kumarr Bajewala is one of the most talked about shows of small screen. The official adaptation of the Bengali show, Potol Kumar Gaanwala is bagging accolades for the amazing storyline and the stunning cast. Starring Aakriti Sharma, Mohit Malik, Anjali Anand, Myra Singh, Vishal Aditya Singh, Shruti Sharma, the show is presenting twists one after the other. Vishal Aditya Singh aka Tevar bid farewell to the show in a stunning twist a few days ago. While fans have been eagerly waiting for his return, a media portal reported that Tevar is all set to re-enter the show. But producer Nilanjana Purkayastha denied the news. 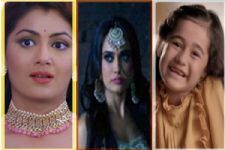 We got in touch with her and she exclusively shared with us, "There is a news floating that Tevar is returning to KKB but I don't know how that originated. Tevar was a very important character of the show and though he may return some day to the show, it is not happening right now." Well, she hinted at Tevar's return but not now. This show is pathetic. What is done to this poor little Kulfi in the name of love for Amyra is nothing short of abuse. The only bright spot is that just like all of Gul Khan's shows, it will eventually go off air! Tevars bonding with Kulfi was cute. It's missed. Tevar was the only sensible character in the show and I loved his Bonding with Kulfi. Ever since he went away, nothing seems right. Stopped watching this show long back!